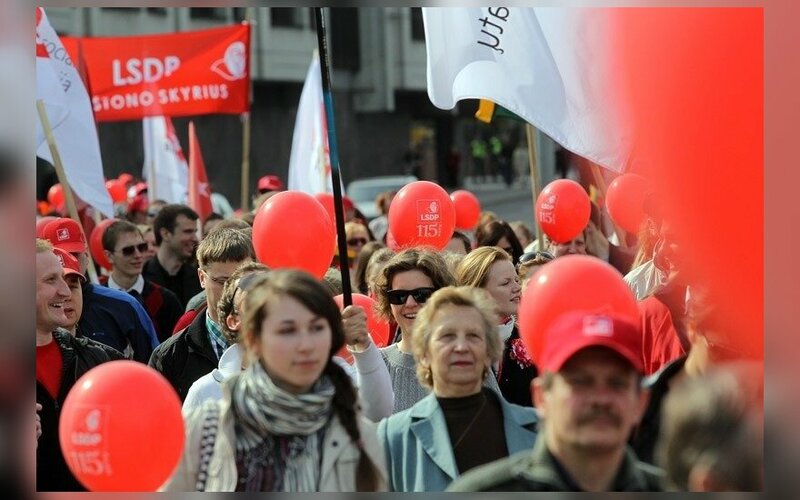 Elections for the leader of the Social Democrat party is going to reach the end. Or at least the first part of it. From 10 original candidates, only 5 remain, however, two of them, who are most likely to become the leaders of Social Democrat party, are clear, TV3.lt reported. There were 10 candidates on the 1st of February, but now there are 5 of them: Gintautas Paluckas who is the Vice Mayor of Vilnius, Minister of economy Mindaugas Sinkevičius, Parliament members Artūras Skardžius and Andrius Palionis, and a former parliament member Manas Varaška. Direct voting for LSDP members will take place on the 6-8 of April and results will be known on the 10th. A second is thought to happen on the 28-29th of April. These results will be announced on the 2nd of May and during the parties convention the elected leader will officially start his work. The secretary of Vilnius division Lijana Kairienė stated that it is early to guess. “Anything can happen, only the voting will make things clear. And so far I do not see or hear any opinions. The candidate from our division was G. Paluckas. Maybe he does not match everyone’s criteria, it is hard to tell, every member can have his opinion and favourite” – thinks A. Kairienė. 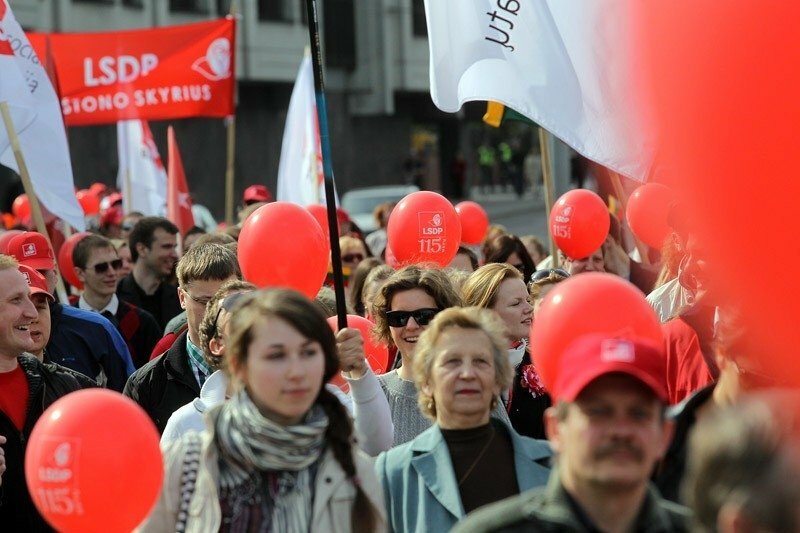 The division of Vilnius has elected Gintautas Paluckas as their leader last weekend. Kaunas division leader Orinta Lieputė stated that she is certain that the first part is not going be enough to elect the leader for the party. “It would be difficult to tell, since at the start of January we had debates where 8 candidates took part in them. They all did well. Now when the finish line is right there, there is even less o them left. And it is even harder to guess now. Leaders are clear: M. Sinkevičius and G. Plauckas. However, A. Palionis and M. Varaška are mentioned as well. But the first two take the lead. I am quite certain that the leaders will go to the second round” - said O. Lieputė. When asked, which candidate is the best for the Kaunas division Orinta Lieputė said that the most important thing was the new leader’s attention to the bugger cities. “The two candidates are more convenient as far as they have a vision for bigger cities. How are they going to evaluate their strategy while preparing for the election and communicating with each other. Otherwise, these two favourites alongside the others we see look at with hope that they are the best ones. It is vital that they would look at bigger cities since the last 10 to 15 years have shown that they need more attention” – added the respondent. The leader of Klaipėda division Lilija Pertaitienė said that it is too early to state a clear leader. “There is no united opinion in the division, we have a true democracy. As far as I can see, there are 4 favourites. A. Palionis was here to meet the actives of the division and now he will have followers here because he made a good introduction. Of course, Gintautas paluckas also has a lot of fans and he got the most votes. Mindaugas Sinkevičius did not receive many votes here. We also had fans of Mantas Varaška. I also have some close friends there that are initiating an agitation. But I do believe that the votes will divide between Mindaugas Sinkevičius and Gintautas Paluckas” – told Likija Petraitienė. However, according to the leader of Klaipėda division, one tour is not going to be enough. “I believe that we will need a second round, because both favourites, Gintautas and Mindaugas, are working hard” – told the respondent. The leader of the Panevėžys division Donatas Degenis states that without a doubt they have two favourites. “Like most divisions we too hope for change. As we saw before, our strategy did not bring any results. It is natural that we hope for change with the election of a new leader. It is needed. I don’t think that Panevėžys division would be any different than the rest of Lithuania. I believe that there are two favourites who have a clear position which will be highlighted by the results” – told the respondent. When asked if those favourites are M. Sinkevičius and G. Paluckas, Donatas Degenis told that he can only confirm this. “I am not saying that, but I do agree with this. It is always difficult to guess in a democracy. It is likely for a second round to happen, but the favourites should remain the same. Both during the debates were for a change in the vision of social democrats. I do think that either one would attempt to realize them” said D. Degenis. “The division of Panevėžys has nominates M. Sinkevičius as a candidate, but various opinions are heard from the inside” – said the leader of the parties Panevėžys division. The leader of Utena division Zita Ringelevičienė assured that the fight is equal now. “Our division is having a reporting election campaign which will happen before the first round. The whole division has equally split between Mindaugas Sinkevičius and Gintautas Paluckas. They are the favourites here but I cannot tell who the dominant one is. As of right now, they are equal” – said the respondent. “There will not be any surprises” – said the respondent. Right after the unsuccessful for social democrats election to the Parliament, the current leader Algirdas Bukevičius, said that he will not stay a party leader. However, the party itself was not for this decision – A. Butkevičius had to continue his role as a leader until the next election to the post. Test passed by Kubilius and Butkevičius – will Karbauskis and Skvernelis succeed? SocDems on the brink – taking a step forward or a step backward?